Community and retirement living residents living in the Manning Region, Newcastle, Lake Macquarie and on the Central Coast are set to benefit from a new mobile resource from Anglican Care. The Lifestyle Resource Van providing a mobile range of lifestyle enhancing items for Anglican Care residents and consumers to borrow. The recently launched Lifestyle Resource Van puts a new slant to the old mobile library services by providing a mobile range of items for Anglican Care residents and consumers to borrow lifestyle enhancing items. The concept of a Lifestyle Resource Van was developed through the continuing need to provide innovative ways to achieve positive social, cognitive, physical, sensory, behavioural and spiritual outcomes to residents and consumers across the organisation. Items available to borrow include large print reading books and other literature, DVDs, table and floor games, knitting, music and art therapy items, and information technology items such as iPads. “The wide ranging nature of resources will mean the van will be able to assist all manner of aged people and carers; from those with dementia related illness to those who may be socially isolated. It will also have resources to cater for people from different cultural backgrounds via communication cards and links with interpreting/translating services,” says Jen Meldrum, Anglican Care’s Lifestyle and Well Being Coordinator. 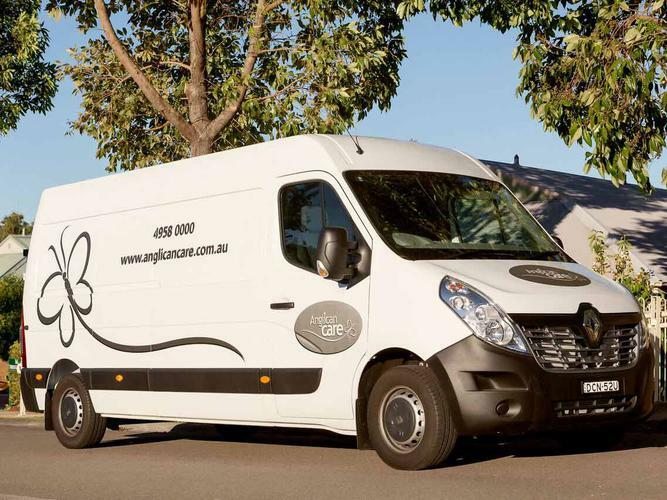 The van will be driven by a combination of staff and volunteers and will operate on a rotating roster of Anglican Care’s residential aged care homes. It will travel to each site allowing residents to borrow resources through a specific ‘library style’ system. People living in the community who have been identified by Anglican Care staff as needing the additional support the van can provide will also enjoy visits from the van.